Welcome to the Virginia General Assembly Website. Instant Access to your General Assembly. You can now access our most requested information quickly, all in one place. See the full 2019 LIS meeting schedule and the House of Delegates Meeting Schedule. District maps are available from the service. Need to contact your legislators? The Who's My Legislator? service is an online tool where the public at-large can determine what legislators represent them. Users can enter their home address or use map based navigation to see their Virginia House and Senate representatives, as well as those in the U.S. House and Senate. Click for Bill Tracking, Meetings, Who's My Legislator? Close Bill Tracking, Meetings, Who's My Legislator? Welcome to the website of the Virginia General Assembly, your portal to the Commonwealth's state legislature. See what is happening during the legislative Session and how to contact your legislators. Learn about our historical Capitol and visiting the Pocahontas Building. Investigate the inner workings of Virginia's Legislature with interactive tools. Access information to provide insight into the legislative process. Information on Virginia's State budget. Q:Where is the Virginia State Capitol Building? A:The Capitol is located in Richmond, VA, near the Broad Street exit off of I-95. The physical address is 1000 Bank Street Richmond, VA 23219. For specific directions, please call (804) 698-1788 or see our visitor information for details. Q:Where does the General Assembly meet? A:House and Senate subcommittee and committee meetings typically occur in the Pocahontas building and Capitol Building extension. Daily floor sessions are held in the respective chambers on the second floor of the Capitol Building. Information is available that provides information on public entrances to these buildings. Q:Where do I park to visit the Capitol? A:There are many paid parking lots and decks in downtown Richmond. Please see our Directions & Parking content for more information. Q:I have a condition that will not allow me to go through a magnetometer. May I still enter the building? A:Yes. Please share this information with Capitol Police personnel at the entrance and they will assist you with entry into the building while respecting your medical condition and ensuring that the Capitol maintains a safe and secure atmosphere for our members, staff, and visitors. Q:Are meeting rooms in the Capitol reserved only for the legislature? A:Meetings rooms in the Capitol exist to support the work of the legislature, but may be reserved by state agencies/groups. Please be advised that if you schedule an event in the Capitol, it may have to be moved or canceled should the space be needed for legislative purposes. 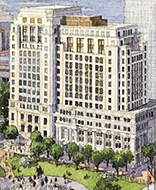 Legislature Moves Forward with Design of New General Assembly Building - Read the Press Release. 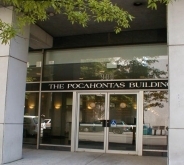 View and download the new Pocahontas Building Floor Directory. The General Assembly Building is now closed to the public for a demolition and construction. @vahouse and @vasenate on twitter.